Free Service Call with Repair...Call Now!!! 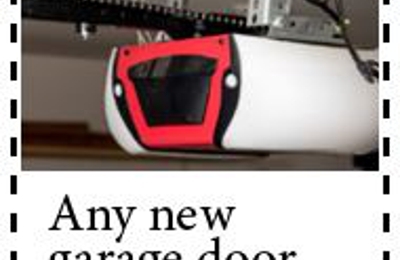 The #1 Garage Door Repair Service. Find out how much you can save on your next garage door. Lifetime Garage Doors in Phoenix, AZ is committed to offering the industries’ best customer service, garage door brands, and workmanship. We pride ourselves in providing Phoenix residents with same day garage repair service and around the clock availability. All Lifetime Garage Door team members are experienced garage technicians that arrive fully equipped, ready to handle all of your garage door needs! Call Lifetime Garage Doors in Phoenix, AZ now for fast service! At LifeTime Garage Doors, We take pride in providing our customers with quality service and a dependable product. Garage door servicing and repair is all we do, and we are the best. We are the professionals, and we care about the impact we have on your home. Our friendly staff are standing by to answer any and all of your questions, and to help guide you through your next door decision. Free new door estimates, Free service call w/repair, 6 months free financing available!!! Military and Senior Discounts.